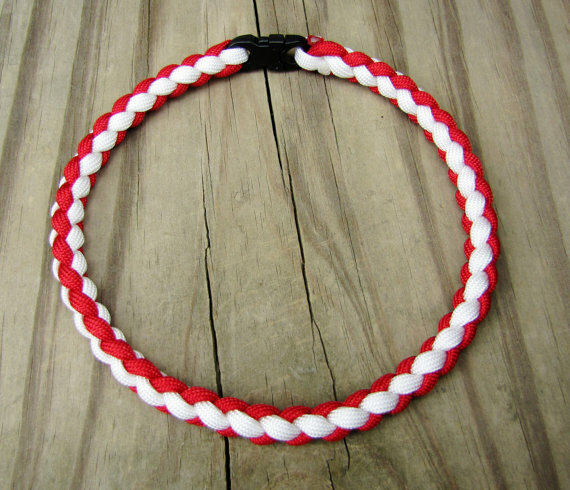 Bracelets and necklaces made with Parachute Cord are popping up all over! 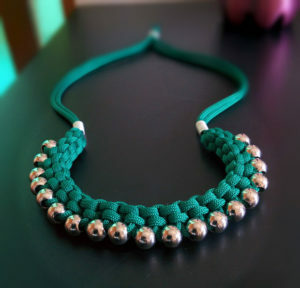 It’s such a versatile material and is made in almost any color imaginable. 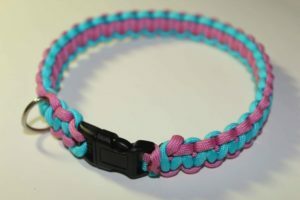 I found lots of inspiration all over Pinterest for paracord projects. 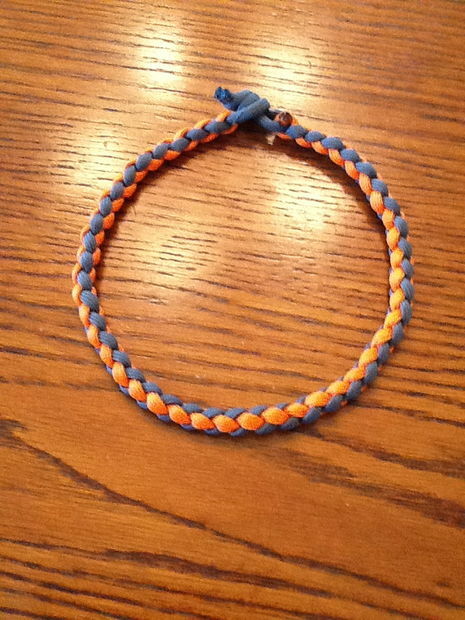 Paracord is inexpensive and comes in a variety of colors and patterns, making the design possibilities almost endless. Time to make some stunning Paracord Necklace Patterns with step-by-step instructions to make it easy for you. You can use and experiment with different paracord knots like the Snake Knot, Sliding Knot, Celtic knot and more of your choice! 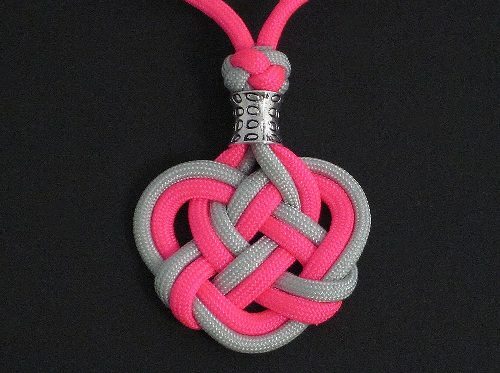 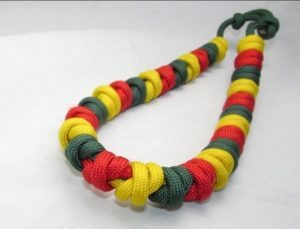 Make this interesting paracord pattern for your necklace by braiding 3 colors of cord. I have always wanted to find more attractive and unique versions of paracord necklaces. 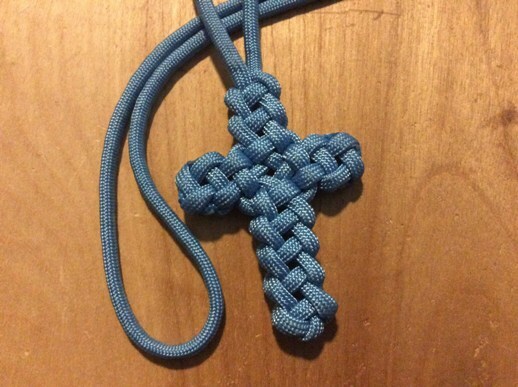 You can see how to make a paracord necklace using prayer beads in the following tutorial. 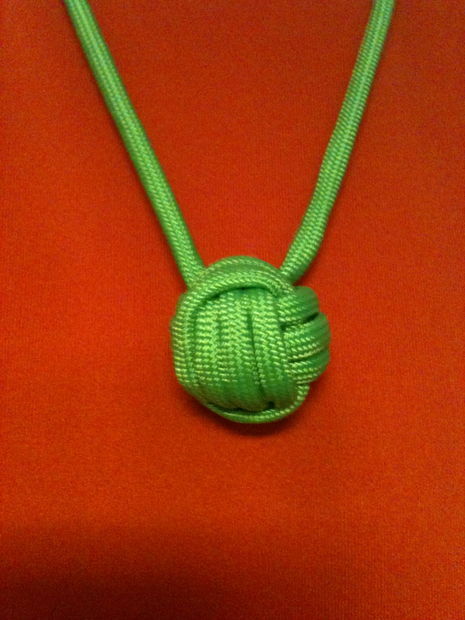 A simple and easy to tie adjustable paracord necklace using the Double Fisherman’s Knot. You can use this skull pendant, beads, charms or other embellishments to give it a funky look. 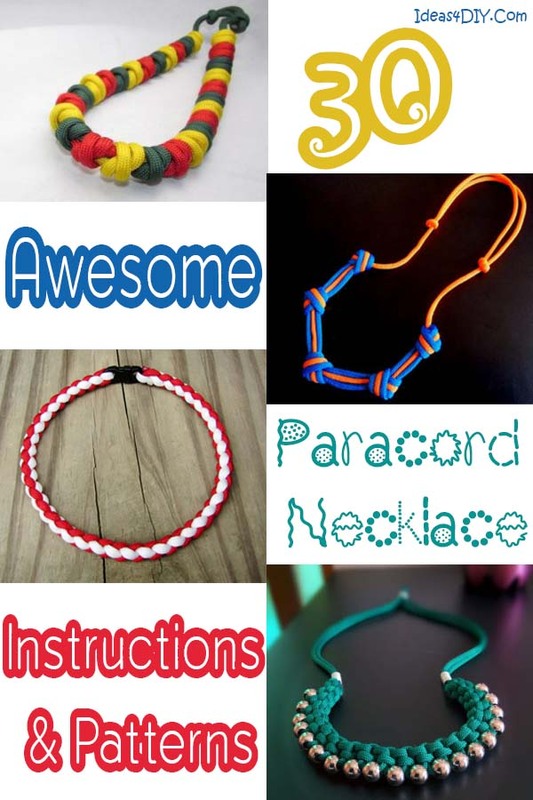 Learn how to make a parachute cord, macrame necklace on your own. 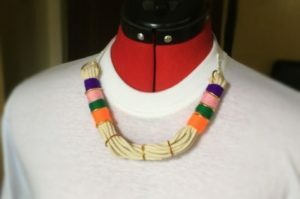 This is an unconventional design which shall go well with all kind of outfits. This video tutorial explains step-by-step instructions to make this easy necklace pattern with breakaway connectors. 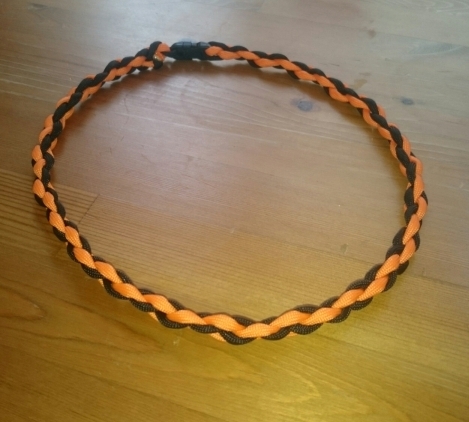 Weave this amazing 4 strand round braided paracord necklace using 550 paracord strand. 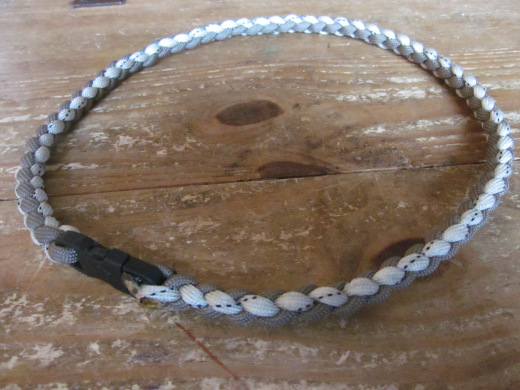 Learn how to make your own 4 strands round braid Paracord necklace with break-away clasp using 550 paracord. A very creative necklace with a cross pendant to make a style statement. 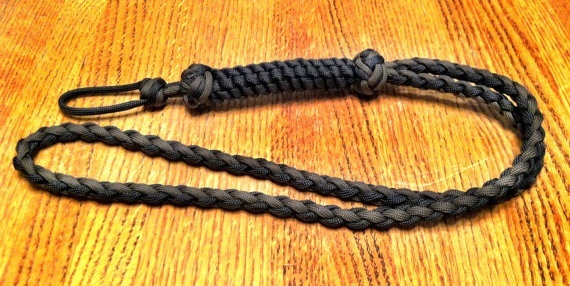 The use of black paracord is an all-time favorite giving it an elegant look. This video tutorial shows you how to make a paracord bumblebee necklace using 450 paracords with 2 color strands of paracord. 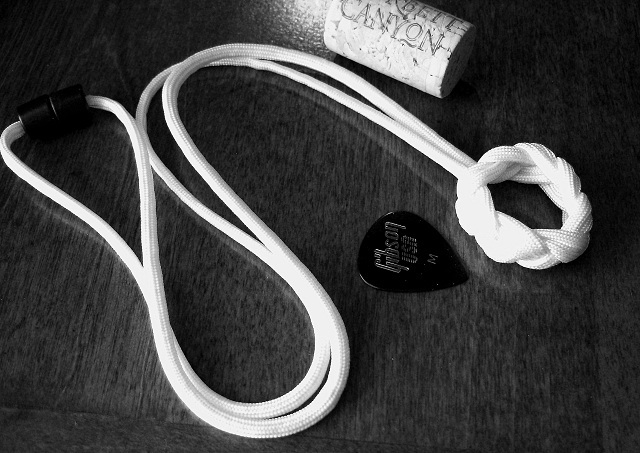 A paracord necklace that holds guitar picks, is a pretty cool idea for musicians! 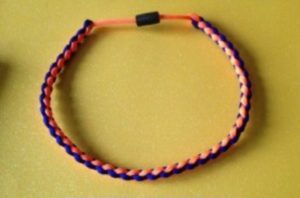 There’s a great “how to” blog by Stormdrane. 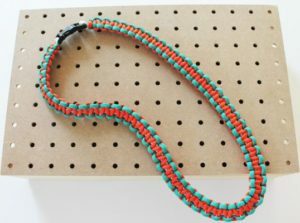 A safety break-away was added for necklace use to make it easy to use. 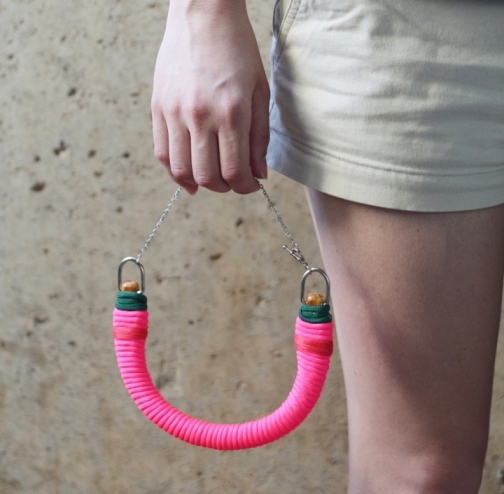 An awesome paracord project for all fashionistas. Using neon paracords to make this cool and stylish neckpiece for this season. 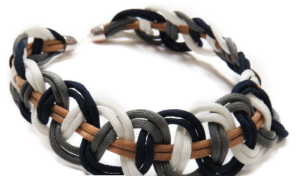 The chain paired with the parachute cord gives it a stunning look. 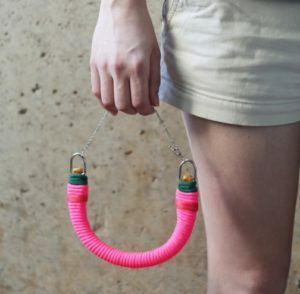 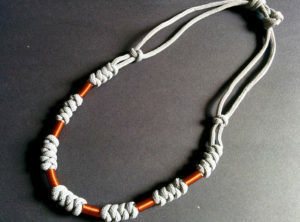 Go survivor chic by taking this trendy camping accessory and turning it into a long statement necklace. 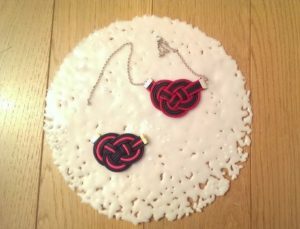 Make the double Celtic Knot heart-shaped necklace this Valentine’s to gift your dear ones! 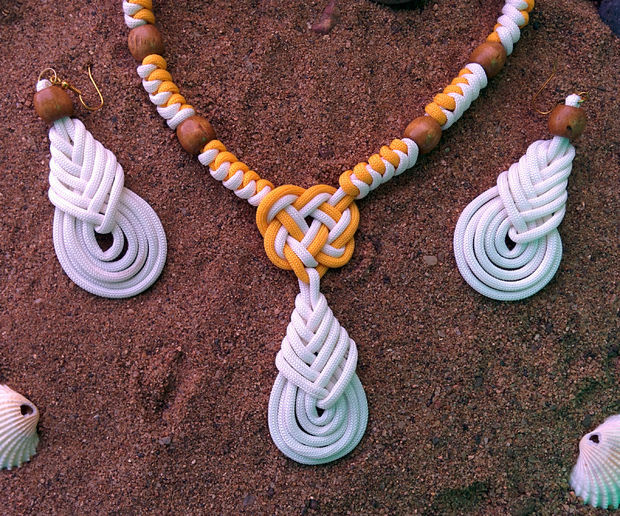 An amazing handmade art to gather compliments. Make this ethnic woven necklace with paracord and sport a traditional look this festive season. 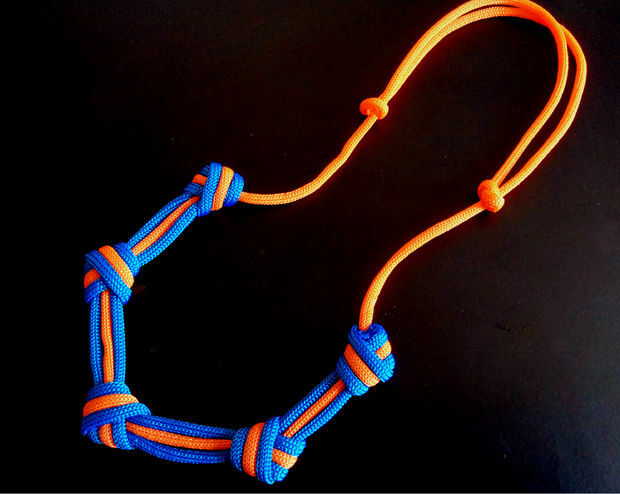 Braid this stunning piece of handmade paracord jewelry for yourself. 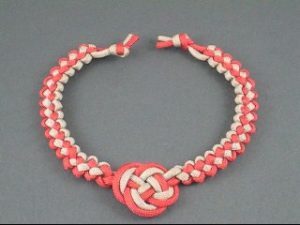 You can use accessories, clasps, charms, and buckles of your choice to give it a different look. 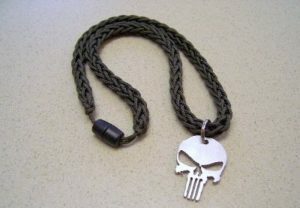 Spool knit ‘Type I’ paracord necklace with a cool skull pendant for a chunky look. 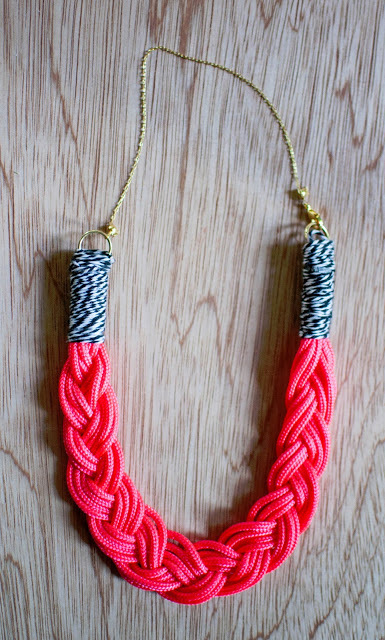 Wear this wrapped paracord tribal necklace around your neck for a sassy look! The Fusion Knot Necklace is the integration of three-knot components, the Double-Double Coin Knot, the Zipper Sinnet, and the Overhand Knot. 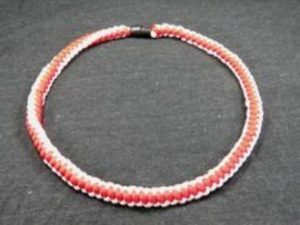 Follow the Youtube tutorial to learn the techniques to weave this necklace with paracord. A gorgeous fusion of 3 colors to make this necklace using prayer beads. 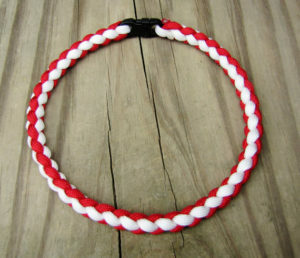 A pretty simple and easy to make a necklace made out of paracord using the double coin knot. A boho-chic design to add to your jewelry collection. An elegant necklace made from paracord for a woman to sport a stylish look. Use attractive neon colors for a contrasting bright look. 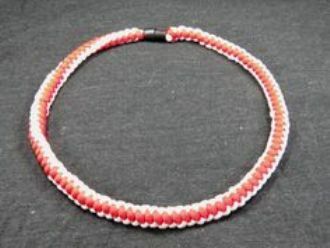 This tutorial shows a very easy way to make a beautiful necklace using paracord and some jewelry wire. This necklace is an adjustable one making a great urban chic design. 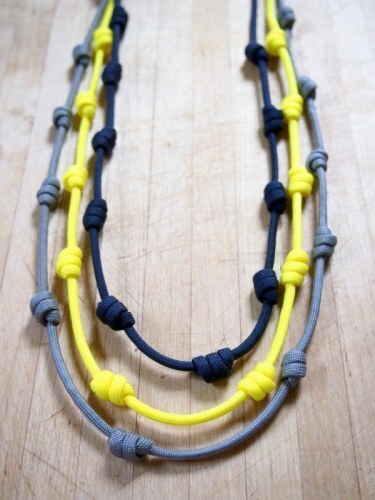 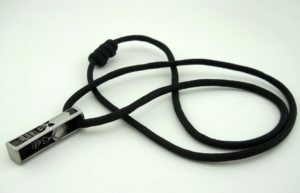 This is a minimalist’s necklace because of its simplicity and elegance in design using 3 colors of cords. 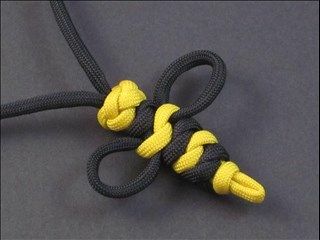 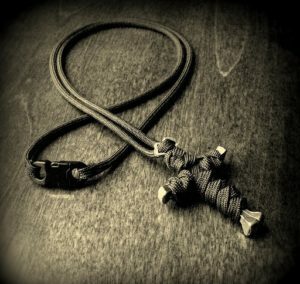 Learn how to make a paracord cross necklace using the Vertical Crown Knot or Double Crown Sinnet. This paracord necklace is one without the buckle.